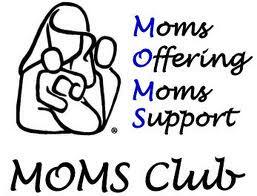 The MOMS Club® (MOMS Offering Moms Support) is a non-profit organization that aims at providing a support group just for you. Ever feel like you’re the only mother who stays home? You’re not alone!! Come meet other stay-at-home mothers at the MOMS Club® of Ozark, MO. MOMS Club® members are able to connect with other mothers and share support and friendship while their children play together and use socialization skills. If you are a stay-at-home mom, work part-time or are at home with your children during the day in the Ozark area and are looking for friends for yourself, playmates for your children and fun activities for you both, please contact us today! Our goals are to provide a support system for all moms and activities that enrich the lives of the children of our community. Internationally, the MOMS Club® has over 2,000 chapters in seven countries, and we represent more than 100,000 members. We are the only International support group specifically for at-home mothers who work out of the home or even part time, and we'd like to have you as a member, too. International MOMS Club® web page.